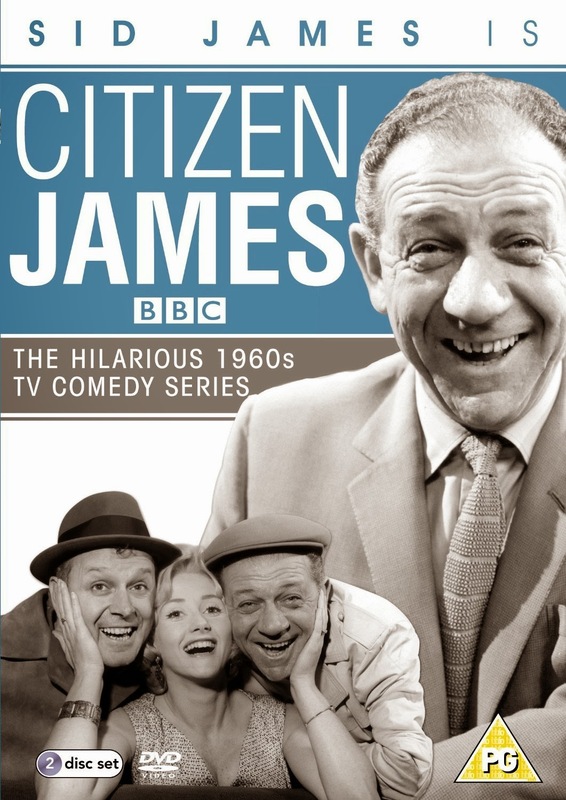 From the Archive: A British Television Blog: Sidney James is Citizen James! Sidney James is Citizen James! Sidney James is one of my favourite actors of all-time. I’m not going to say I’ve seen everything he has done but I have seen quite a bit especially when it comes to comedy. 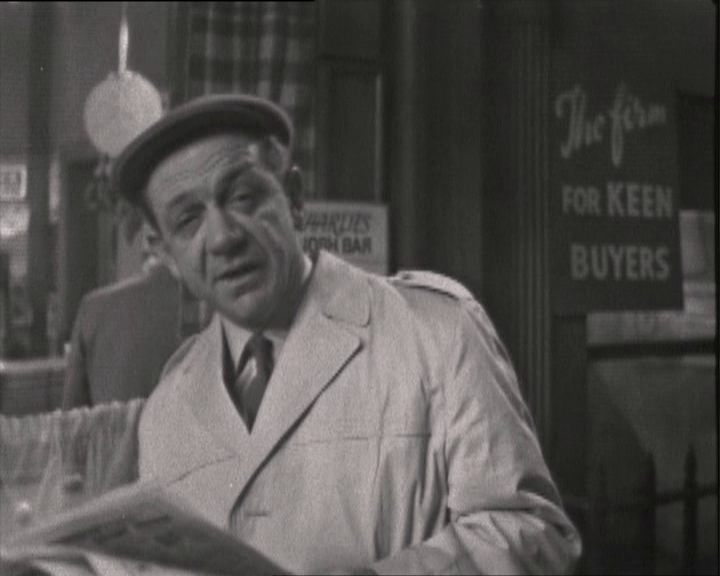 Although I didn’t know who he was, I suppose the first time I ever seen Sid James was in the 1957 Quatermass 2 from Hammer as Jimmy Hall. Of course what really got my attention was his appearance in both the radio and television versions of Hancock’s Half Hour. I have said this before, if you have a chance to check out this series and you like to laugh, seek it out. Both the TV and radio versions are equally funny though I do think the radio series may have a bit of the edge because of a fuller regular cast and with radio, you can go literally anywhere. 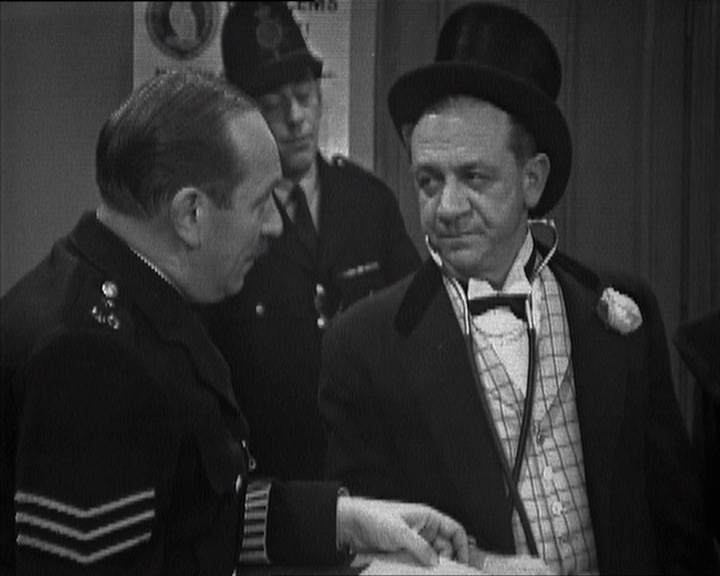 Sid James enjoyed a great deal fame from his role in Hancock’s Half Hour. Tony Hancock must have thought so too because Tony decided to not have Sid in Hancock’s Half Hour anymore and in 1960 ended their professional relationship. 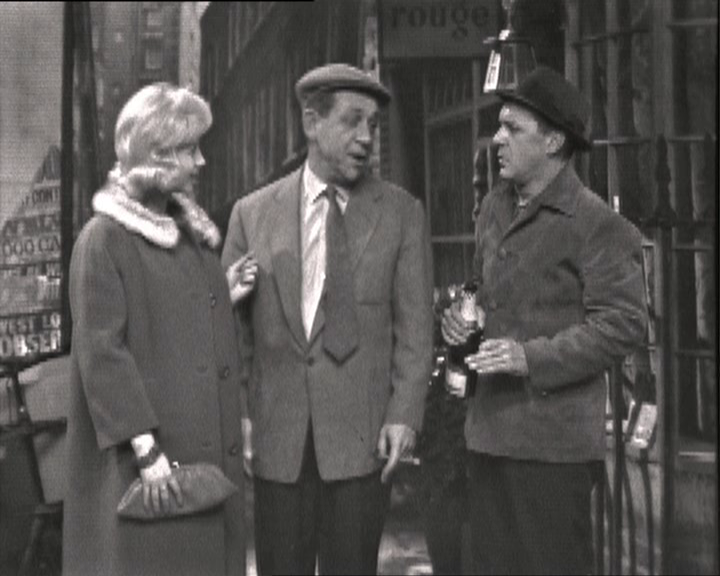 Tony was fearing that the two were considered a double act whereas Hancock thought of himself as the sole star. Hancock’s Half Hour was written by two incredibly funny men who have made a big impression on British television. Ray Galton and Alan Simpson. They would later go on to write another mildly successful series called Steptoe and Son. When I mean mildly, I actually mean a massive smash hit. 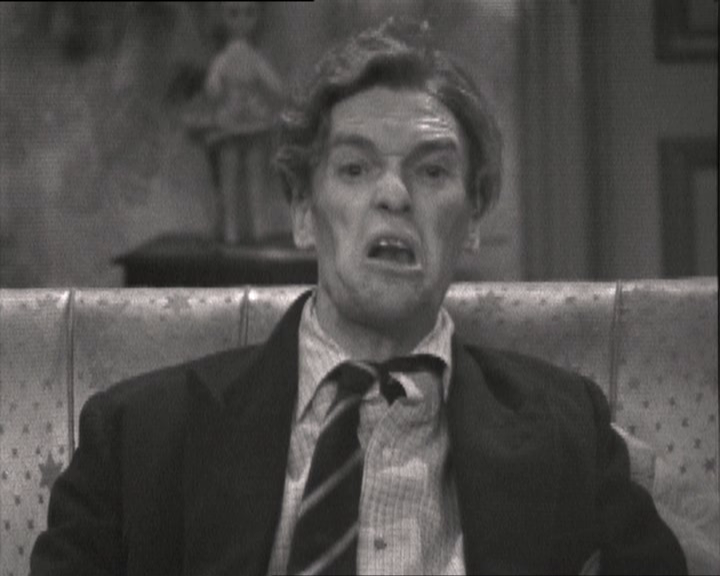 Steptoe and Son is one of the greatest British television series ever. It’s a shame that more of it is not available in the US. So after Hancock’s Half Hour we now have some incredible talent looking to do something different out of necessity. 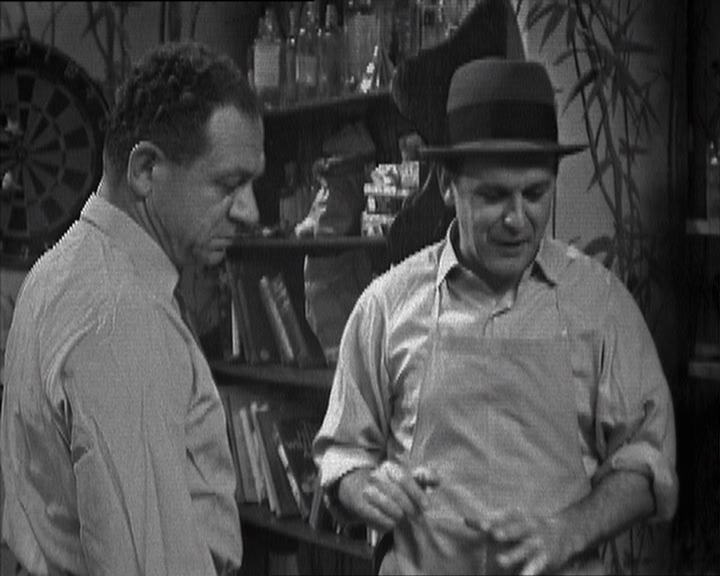 Sid James was looking for something else to be in but Galton & Simpson wanted to write something for Sid because they knew he could carry a series on his own. With such a pedigree of talent, whatever they did next should be pretty amazing but is it? The series Citizen James is familiar right away since Sid is basically playing the same character as he did in Hancock’s Half Hour…..well sort of playing the same character. The character’s name in Hancock’s Half Hour was Sid Balmoral James and in Citizen James his name is Sid Balmoral James which is not to be confused with his real name Sid James. His real middle name is not Balmoral. 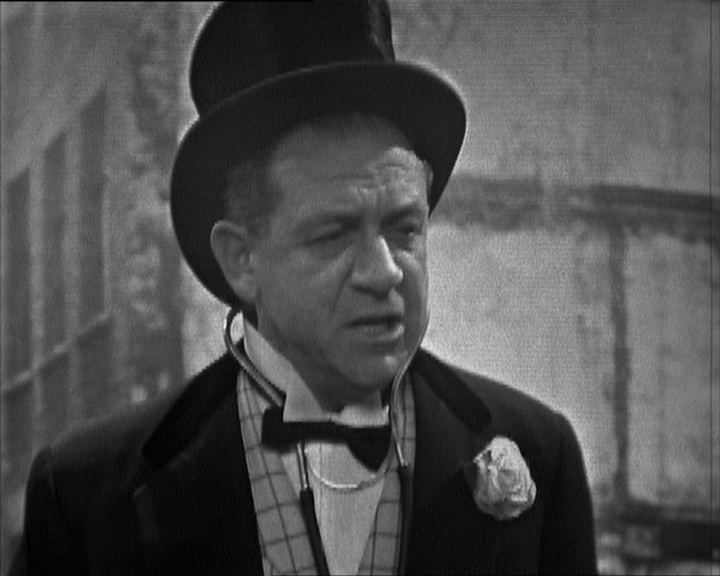 So is this the same Sid James that exists in the Hancock’s Half Hour universe? Do I need to start writing Hancock’s Half Hour/Citizen James fanfic? Sid is playing a character that is similar to his Hancock’s Half Hour counterpart. He’s a sort of conman, maybe bends a few rules to try and make some extra money. In Hancock’s Half Hour, Sid was basically known as a crook. Here he is less that and more down on his luck. He doesn’t have any money and often needs money from his fiancé Liz Frazer played by….Liz Frazer. Are you catching on to how the characters are named in this series? Just like another character, Bill Kerr played by, you guessed it, Bill Kerr. Bill was not in the TV version of Hancock’s Half Hour but was a regular in the radio series. 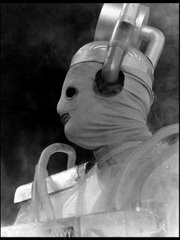 You may also recognize him from the Doctor Who adventure The Enemy of the World playing Giles Kent. Sid is a down on his luck sort of guy who never has enough money. In fact he often leans on his fiancé Liz for money. Even to buy the lunch that he is supposed to be treating her with that day. Probably the same very much in real life, it is hard not to love Sid. He has such a great charming personality that is consistent in all the roles he played. Perhaps that is a form of typecasting? But it probably isn’t because his laugh and personality s so infectious which is probably why Liz stays with Sid in the series. The episode starts off with Sid speaking to the camera (or us) breaking the fourth wall to give us a little bit of background to what is going on in his life and what this series is about. Now, I have yet to see all the episodes on this set. Episode Two The Elixir does not start out with Sid speaking to “us” and that is fine by me. I don’t mind series that have the main character talk to us. Sometimes that’s the fun in such ways as Renee in ‘Allo! ‘Allo!, Lovejoy or Francis Urquhart in The House of Cards. Sid talking to the camera somehow doesn’t feel right to me. So, I’m glad to see it not continue. At the café Sid, Liz, and Bill frequent there is word of a Waiter’s race. Waiters from other restaurants and cafes in the area have their waiters race against each other. The Café that Sid is in, there is no waiters. The owner basically does everything himself so he doesn’t have anyone take part. Sid has a stroke of luck. A man walks into the café who had been a runner. This guy could be a ringer for Sid in this race but the only problem is that the man is basically an alcoholic. Sid needs to sober him up and keep him sober so he can win in the race. Sid stands to win over £4K because his plan not only includes having this “waiter” work at the café, he will work there for a week prior pretending he has some kind of walking impediment and then the day of the race, he would run and beat everybody! Sid stands to make a killing! The problem is, can he keep guy away from the drink? The day of the race, Sid has a bet on the waiter at a hundred to one. The race starts but there is something that Sid completely forgets about and that is all the waiter’s in the race have to carry a tray with a bottle of wine on it. The guy Sid has racing is so thirsty for alcohol, he can’t even wait for the race to be over with before he opens it up to drink. Needless to say, Sid loses the race. This episode has all the elements for success. Obviously that cast is stellar; we have seen them in good things before and after Citizen James. It is written by Galton & Simpson who had shown us previously what they could do with a certain Comedian living in East Cheam at 23 Railway Road Cuttings. It is produced by Duncan Wood who is known for producing quality stuff like Hancock’s Half Hour and Steptoe and Son. Then, why is this production so flat? It’s not like the team is doing something outside the boundaries of these characters. 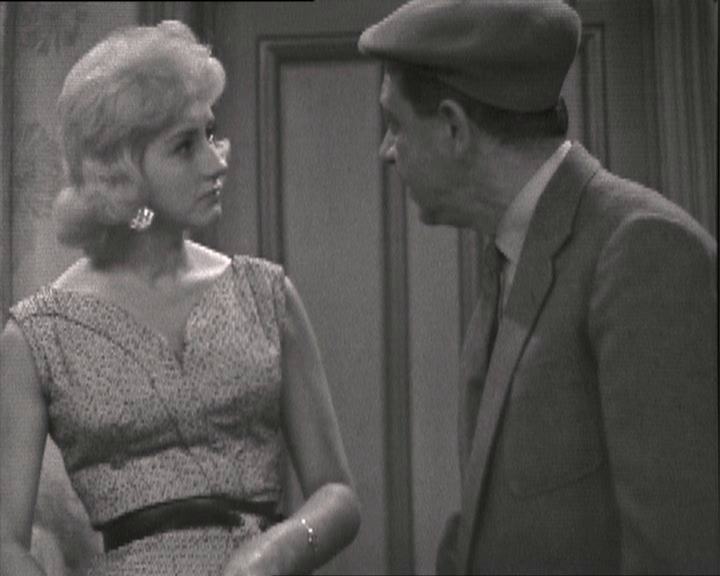 Apart from Liz Frazer, Sid and Bill are playing characters they have played before. To start with, the script really isn’t that funny. It raises a smile a little bit but generally isn’t funny or inventive. It feels like it was an off night for the performers. There are pauses between lines that make me wonder whether they thought there would be more laughs and were simply waiting for them? On a technical note, I am pretty certain that this series went out live and was telerecorded at the time of broadcast. Its 1960 so it’s pretty early for video tape. This episode suffers from what Quatermass II suffered from prior to the Restoration team getting their hands on it which is about a quarter or less second of black between each camera switch. Meaning if there is multiple camera shots in a scene, there is a little bit of back between each shot. It really annoyed me with the Quatermass II copies I had prior to the release of the DVD but I didn’t mind it so much here. I am just happy to see the episode plus there is no such thing as an Acorn Restoration Team. To take out the black between shots is pretty costly for something they are probably not going to make much money on anyway. Even though this episode was flat to me, I have found from past experience that usually when I look at two episodes of a series back to back, the second one is better….. This is a better episode. Something like this would keep me watching more hoping that it will get better with each episode. This episode features a special elixir that Bill Kerr is making that should be able to cure what ails you. This supposedly is a recipe that Bill got from the Aborigines of Australia. Of course the recipe is dodgy at best. The point of making up a batch of this stuff is so they can bottle it up and sell it down at the market. This clearly isn’t the first time they had done this because they have a bit of a clientele. Down at market, Sid is wearing a bit of an outlandish sort of doctor costume, just what you would see from a travelling “doctor” trying to sell his goods to the unsuspecting public. 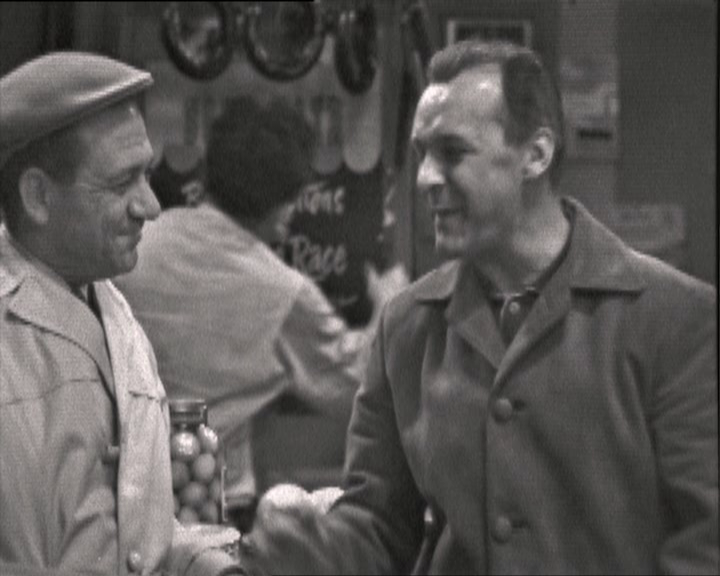 Just as they may start to make some sales, a policeman comes in to arrest both Sid and Bill then takes them both down to the station. At the police station, we see one of the constables to be none other than Bob Todd. Feel free to laugh at me as I point you to the direction of an article I wrote where I mistook Bob Todd for Sir Alec Guinness. You can read that right here. Apparently, the police have been waiting a while to be able to ring charges up against Sid. This time they might have him. As they read the charges, Sid has an excuse for each charge. Even the charge of falsely calling himself a doctor! Except, on the label to the bottle of the elixir it calls him Dr. Sid! Yet, he eben refutes that saying the D and R are abbreviations to his name and he points out you can barely see a period between the D and R on the label! Sid and Bill are about to be let out on expensive bail when Liz comes in. I was starting to wonder if Liz was in the episode at all since we are almost halfway through it and there had been no sign of her. I know it is comedy and it is from another time but I don’t really like how Liz is treated in the episode. Don’t get me wrong, Sid is not like Ralph Cramden who threatened his wife with physical violence on an hourly basis. Sid is Sid which means he is totally harmless. Sid is not only dependent on Liz but he uses here too. That just rubs me the wrong way. I know it can be argued that this is what makes the comedy but I don’t like it. If you add up the facts, Liz had been waiting 7 years to marry Sid who always finds a way out of it. She is the only one out of the two of them that has regular employment. She pays for everything and now is bailing him out of jail? Just as they all are about to leave the police station, they get a call from a doctor at a hospital. 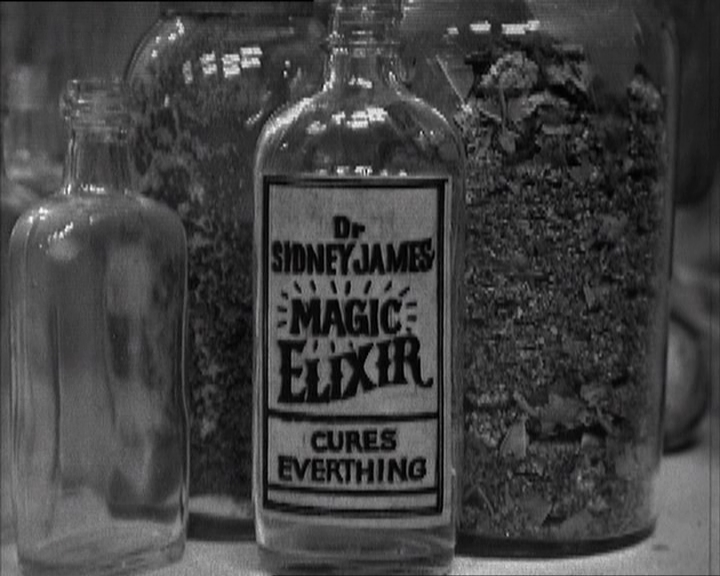 There is an elderly woman there who refuses proper medical treatment but insists on having some of Sid’s miracle elixir. 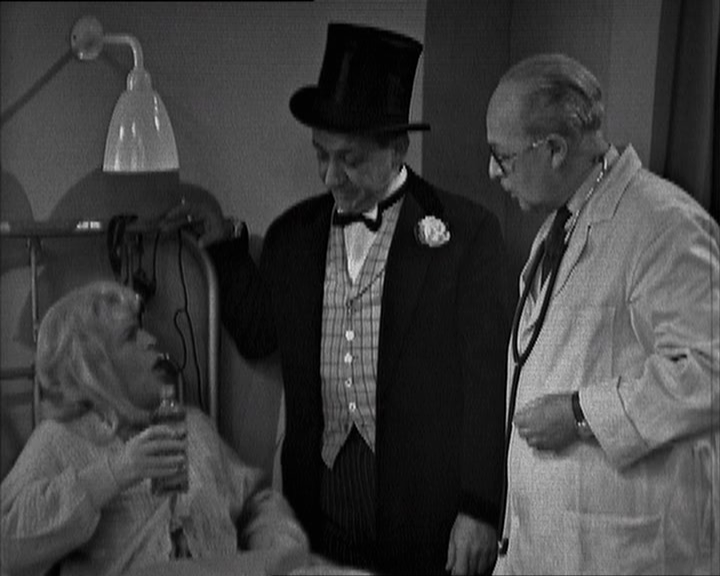 They get Sid down there and we find the old woman eagerly ready for the elixir. She is played by none other than Patricia Hayes. She had a long and wonderful career being funny in so many things I have seen her in. Previous to this role, we would see her on a regular basis on Hancock’s Half Hour as Hancock’s house keeper Mrs. Cravatte. There was one thing she was in that wasn’t funny at all but no fault from her. It is this. Unfortunately even though Sid helped out with his elixir, he still had to pay the price. Instead of going to jail for a few days for his crime, he and Bill were forced to drink all of their stock of this elixir. After one sip, it was so bad Sid runs back to the court room to demand to be sent to jail. Hilarity! Although still not to the level of comedy I would expect from everyone involved, it was miles ahead of The Race. 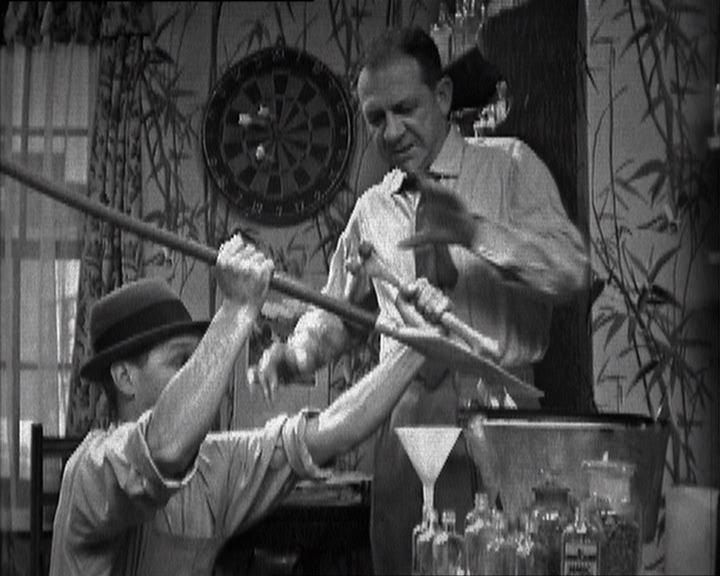 There are some good moments in the episode such as Bill Kerr finishing making the elixir by kneeling down to scare away the evil spirits. Bill thought this would only take a couple of days. I thought it was funny when someone at the market asked if they could get the elixir on national health. 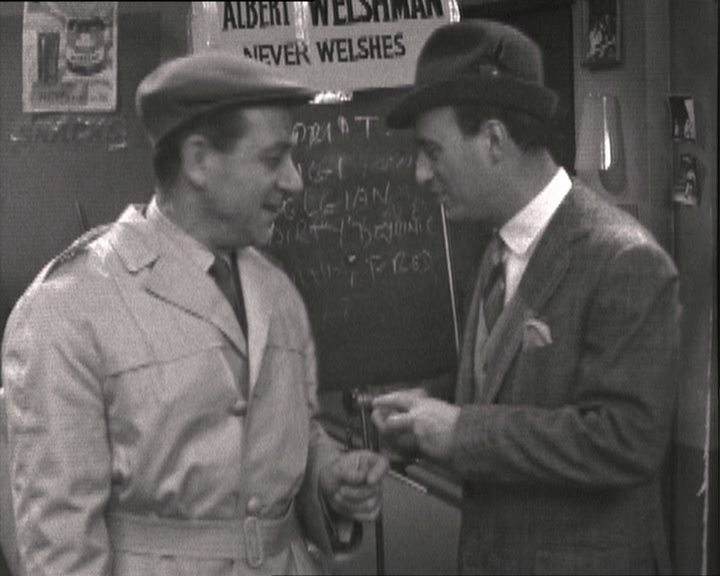 Watching these episodes, Sid’s character in this is kind of an early version of Del Boy from Only Fools and Horses. He sells dodgy goods at the market. In The Race, they reference selling women khaki underwear and here they try to sell the elixir. This role really is suited for Sid yet he comes across as really selfish. Don’t get me wrong Del Boy is really selfish too but he also took on a lot of responsibility such as raising his little (taller) brother Rodney. I know those are for selfish reasons too but Del does have a heart. In the first two episodes I saw of Citizen James, I don’t have that connection with Sid. Maybe that just isn’t his character. Hopefully the other episodes are better. In the DVD set of this series, there is some text passages from Galton & Simpson regarding this series. They comment how Sid didn’t want to be the “top banana” in a series because of all the responsibility it brings. This was during his days on Hancock’s Half Hour. After getting booted from that show, Galton & Simpson as well as the BBC wanted to make this series for him as a thank you for all he put up with but also because they saw talent. Perhaps it’s ironic that Hancock kicked out Sid because he felt that he was rivalling his success but in doing so, he set Sid free. Tony Hancock’s career sustained for a while but he started to badly go downhill where he ultimately committed suicide in 1968 from an overdose. After Citizen James, Sid was a “top banana” appearing on stage, starring in many television series and of course was in many of the Carry On films. Sid certainly took those lemons and made some mighty good lemonade. I always find it interesting to see a non-UK slant on certain things that are really engrained in the UK psyche, but completely unknown in America. Sid James is probably one of the best known actors in the history of UK comedy. There is scarcely a Brit alive who doesn't know the Carry On films. However, over here a lot of his more 'serious' work (in films like Quatermass 2) is almost completely overshadowed by the Carry On films. I think it's wonderful that you came at him from a completely opposite direction and saw some of his less famous work (in Quatermass 2) first and then found some of his other stuff. I think he'd have liked that. Have you ever seen 'The Lavender Hill Mob'? Sid was fantastic in it. You're right to say that The Elixir is a better episode than The Race, but that's because The Race is pretty much a laughter-free zone. The Elixir has a few good moments, but it's still pretty poor stuff. Pat Haynes does enliven the last few minutes, but, truth be told, she's rather wasted. Why the first two are so flat, I'm not quite sure. G&S were on fire at this time, thanks to Hancock (and with Steptoe & Son to come). For me, one of the main pleasures of series one is Bill Kerr. He was such an integral part of the radio HHH, but never crossed over into the television version. If you accept that Citizen James is set within the HHH universe, then Bill's character has been rewound to the sharper one he had in the earlier series (rather than the amiable child-like idiot he became). I'd known of Hancock for years, but really became a fan through the BFS Video releases of his series.